Escape Moves: Roll with Punch/Fall/Impact, Maintain Balance. Basic Defense Moves: Dodge, Parry, Automatic Parry. Advanced Defenses: Circular Parry, Combination Parry/Attack. 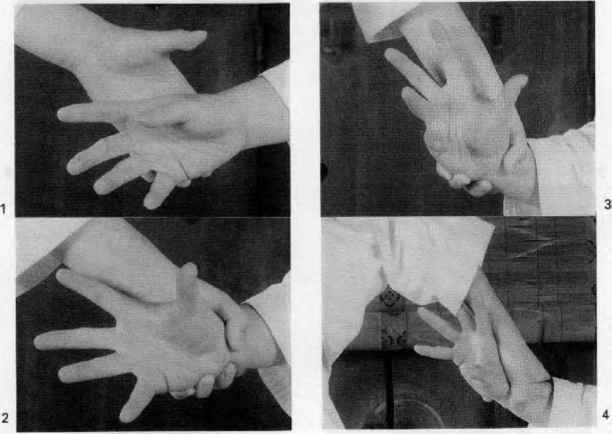 Hand Attacks: Strike (Punch), Knife Hand, Palm Strike. Basic Foot Attacks: Kick Attack, Snap Kick. Advanced Foot Attacks: Jump Kick, Reverse Turn Kick. Special Attacks: Death Blow, Combination Parry/Attack, Flat Stun ( This is an attempt to strike the opponent on the side of the head with the flat of the blade. It requires a natural 13 or better to be successful. If it hits, it inflicts 1D8+bonus damage, and stuns the victim for 1-2 melee rounds, during which time he suffers a -1 penalty to all attack rolls, loses two attacks and initiative. If the Strike roll is a Natural 20, it is an automatic Knock-Out for 1D4 minutes ). Weapon Katas: W.P. Sword, W.P. Paired Swords. Martial Art Powers: Iaijutsu, and one additional power from either Martial Art Techniques or Specialty Katas ( no Weapon Katas ). Cultural Skills: Dance (+10%).